PrEP activists say that CDC leaders have access to new technologies, but refuse to implement them efficiently. We’re living in extraordinary times. While it’s easy to be depressed about our political system and the general state of the world, it’s important to highlight the huge advances we’ve made in the arena of queer healthcare. Since 2012, there has been a scientific revolution in HIV prevention. Truvada as PrEP, a once a day pill, has the ability to reduce the risk of getting HIV by 99 percent when taken as prescribed, and when people living with HIV achieve undetectable viral loads, they cannot transmit it. For people living with hepatitis C, we now have medications that are simple to administer, with little to no side effects, which rapidly cure almost all people who are treated. These are incredible advances, but they are being undermined by the continued inaction of the Trump administration and public health officials in D.C. and Atlanta. With these technologies, we could have already seen rapid moves towards the end of the HIV and hep C epidemics in the United States. Instead, the numbers haven’t budged. The reason for this isn’t malice, it’s incompetence. Jonathan “Jono” Mermin has been the Director of Center for Disease Control and Prevention's (CDC) National Center for HIV/AIDS, Viral Hepatitis, STD, and TB Prevention (NCHHSTP) since 2013. As the head of HIV and hepatitis programs at the nation’s premiere public health agency, he has failed to make a dent in either of one of these public health calamities. The situation with hepatitis C is particularly egregious. Since the introduction of these new cures in 2011, the number of new cases of hepatitis C has nearly tripled, skyrocketing from an estimated 17,000 new infections in 2010 to more than 41,200 estimated new infections in 2016. A big part of the problem is the price of the drugs — despite spending over $50 billion on HCV cures, the American healthcare system has not treated the vast majority of the 3.5 million Americans living with the virus. This not only jeopardized the health of Americans living with the virus — nearly 20,000 Americans die each year from HCV, a curable virus — but also allows the epidemic to continue to grow. 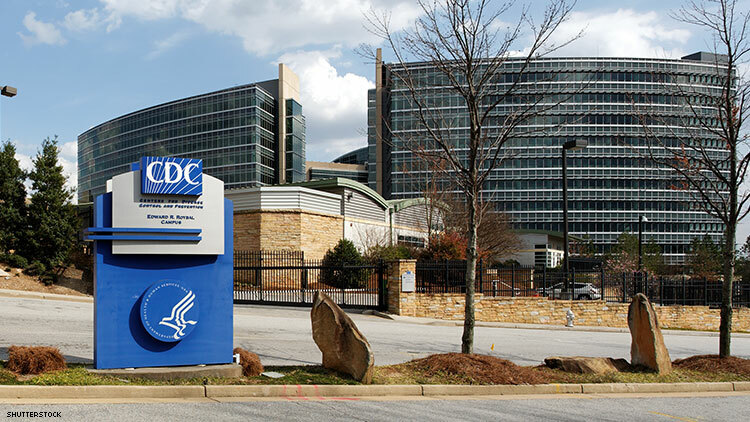 The CDC, as a federal agency, could have accessed these drugs at greatly discounted price by invoking existing federal law, but inexplicably has not. The situation with HIV is unfortunately similar. While we have groundbreaking technology to treat and prevent HIV, the vast majority of Americans who need it are not accessing it. Nearly 50 percent of people living with HIV do not have undetectable viral loads and less than 10 percent of people who need PrEP are accessing it. Like hepatitis C, a big reason for this has to do with the cost of the medications. Gilead Sciences, the company that manufactures Truvada, charges over more than $2,000 a month for pills that costs less than $6 to make, despite the fact that the American taxpayers and charities, not Gilead, funded its research and development. Not only could the CDC use the same laws that would have allowed them to reduce the price of HCV medications, but it could have asked the National Institutes of Health or the Department of Veterans Affairs to “march-in” on these patents, allowing generics to enter the market. Perhaps most infuriatingly, our group uncovered the fact that the CDC owns patents on Truvada as PrEP, yet refuses to enforce them against Gilead. That means that Dr. Mermin is leaving billions of dollars in royalties on the table that could be used to fund a universal PrEP program and allowing Gilead to price gouge the American public while, even though the public owns the patents on Truvada’s use as PrEP. That fact alone is infuriating. What’s more, it seems that Dr. Mermin is taking no initiative to help get PrEP into the hands of the communities who need it most. It also took the CDC nearly two years to publicize the guidelines for PrEP that doctors across the country use in order to prescribe the medication appropriately. The agency also continues to erase trans women in their HIV surveillance, lumping them in with gay men despite years of activist pressure. And above all, there is still no national PrEP program that aims to tear down the structural and systematic barriers beyond price that keep some of the most at risk communities from accessing PrEP. As a result, there have been nearly 300,000 new HIV diagnoses since PrEP was approved by the FDA, and the number of new HIV cases have not budged. These structural barriers matter and there is an urgent need for radical thinking in regard to PrEP access. We’re living in a time where, if things continue as they are, one in two gay or bisexual Black men, and one in four Latinos, will be diagnosed with HIV at some point in their lifetime. This is an outrage and a failure of public health in the highest order. Where is the accountability and leadership? If any other executive leader was overseeing a division that had access to radical new technologies and refused to implement them efficiently, they would be canned. We need new leadership at the CDC who can break or enforce the patents on PrEP and finally bring about the end of the HIV and hepatitis C Epidemics. Nick Faust and Tom Blake, are co-founders of the PrEP4All Collaboration, and organizers of the #BreakThePatent campaign.